No Doubt WhatsApp is one of the most popular and downloaded messaging app. Most of the android users are using the same to connect with their friends. But if you have the dual sim phone than its difficult for your to setup two number on the Whatsapp and the application didn’t provide any option to use both the number on the same app. Now you can do the same on your device with he the simple trick. All credit goes to the XDA Member OsamaGhareeb, who recently released the modified version of whatsapp called OGWhatsApp. With the help of this application you can easily use two numbers on the whatsapp messaging application. The app is based on the latest WhatsApp version and works on any android device. To get started all you have to install the modded version of whatsapp on your phone and make some change with the help of file explorer, and you are done. Lets take a look how to setup the application and use two numbers in WhatsApp at the same time. Step 1. 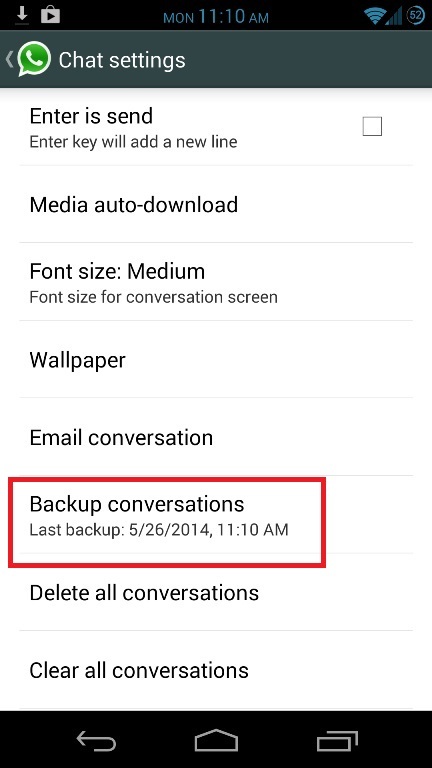 Run the Whatsapp app on your application and go the Chat Settings and take the backup of your Whatsapp messages first. Its optional in case you want the restore your messages. Step 2. 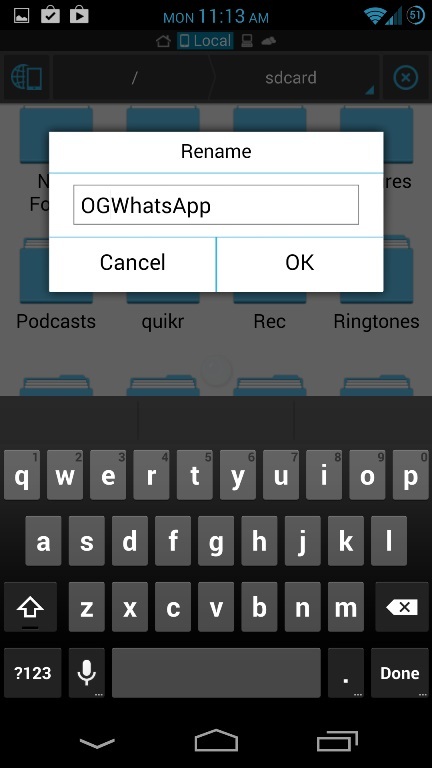 Now Change the name of the folder /sdcard/WhatsApp on your device to /sdcard/OGWhatsApp. Use any file explorer (Like ES File Explorer or Astro File manager )to do this on your phone. Step 3. 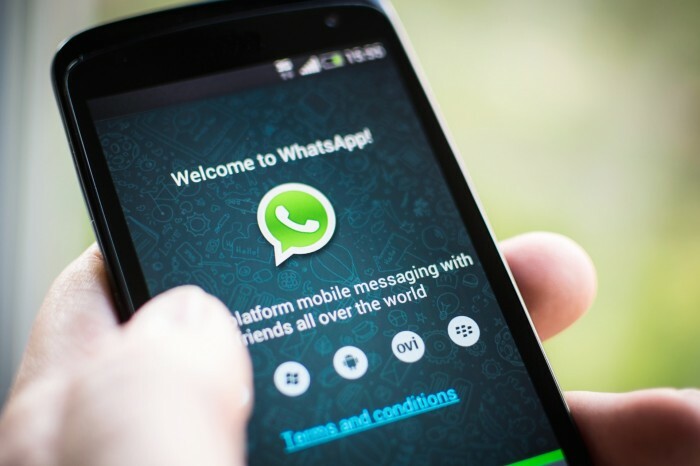 Now uninstall the WhatsApp on your device and install the Modified version of OGWhatsApp here on your device. Step 4. Now run the OGWhatsApp on your phone and use the old number which are you using on the whatsapp. Step 5. Now Go to the Google play Store and install the official version of Whats app on your phone and use the new number on this application. That’s it. Now you will see two Whatsapp icons on the homescreen of your phone from which you can use two number for the messaging.